"My interest in ETI is prompted by the fact that I have been long concerned with the possibility of expanding man’s spiritual and intellectual potential. This interest stems from a lifetime of concern and support for innovative thinking in fields such as philosophy, holistic healing, science and spirituality. I have become convinced that we must fulfill more of our human potential if we are to cope with the increasing difficult problems which now challenge our quality of life and our very survival." "We have spoken with a number of present and former U.S. government officials who may have been in a position to know what information the U.S. Government has on this subject. Our approach to the U.S. government has been focused on urging the release of information that it may have regarding UFOs that has been heretofore held as classified for national security purposes. We have urged that now that the cold war is over, constraints on release of information can be relaxed." Bill Clinton as quoted by senior White House reporter Sarah McClendon in reply to why he wasn’t doing anything about UFO disclosure. "Sarah, there’s a secret government inside the government, and I don’t control it." Dr. Greer provided briefing material which the President had gone over. 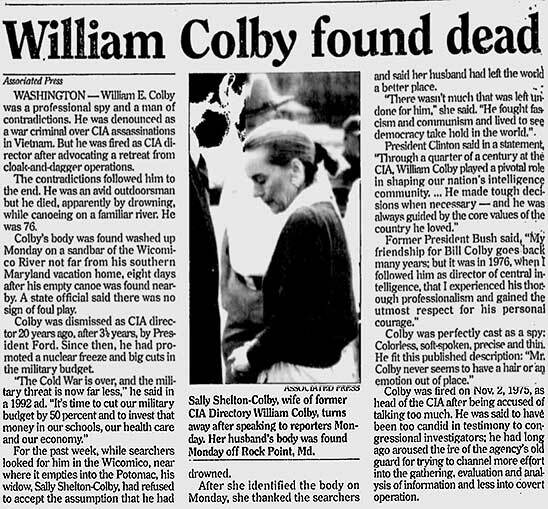 President Clinton was very upset that he was not getting intelligence information on this. The message back to Dr. Greer from Clinton was, "I can’t do this but you can." President Clinton with his high interest in the UFO subject, asked his CIA Director James Woolsey to see the classified files on UFOs. The Director of Central Intelligence James Woolsey was denied access to the classified UFO files. Frustrated that the head of the CIA is being denied access he sought authority on the subject in civilian sector since it was apparent that the chain-of-command structure within the intelligence community had been somehow affected or compromised from within. So in order to learn more outside of this structure, he contacted the director of the Center for the Study of Extraterrestrial Intelligence (CSETI) Dr. Steven Greer. A private meeting occurs where Dr. Greer brings many documents and photos substantiating the reality. Woolsey responds with "I know this subject is real, I want to know why the hell I can't gain access to it!?" Dr. Greer having been brought to the awareness of the gravity of the situation with the Director of Central Intelligence being denied access and the implications to the entire world if these illegal rogue corporate operations are allowed continues to operate in an agenda illegally outside of our constitutional government. So the question put forth by the CIA director is "how do we disclose, what we do not have access to?" It was decided, that the only way to show what is happening behind the scenes is not to have a few witnesses to testify, as witnesses cannot individually effectively disclose this issue and are discredited and sometimes silenced. So a decision was made to collect not a few but hundreds of witnesses from within the military, intelligence and corporate sectors with collaborating testimonies and official documentation and bring disclosure to the people of the world. 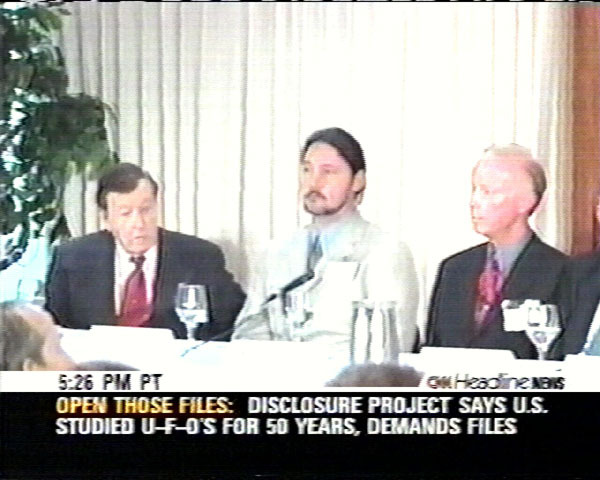 Dr. Greer met with his military advisors and decision is made to start the Witness Archival Project gathering hundreds of military, intelligence and corporate witnesses collecting testimonies on video and official documentation from witnesses that were willing to testify under oath before a congressional hearing for the Disclosure Project. You would imagine in a just legal court system, that if you have 5 witnesses that are willing to swear under oath, under penality of purjury that something is true, you would have a closed case. Because of the efforts of Dr. Greer we have over 500 witnesses! How many do you really need to establish a truth? Now for those who know the real Travis Walton story as he told it, they find this movie upsetting, since it vaguely resembles what his actual account was. It seems as though he was struck by the energy of the craft and they brought him on board to apparently repair the damage done to his body, as no harm came to him. Travis was very scared and hostile to the beings that attempted to work on him. As he attempted to escape the ship, he was met with attractive human looking Nordic type beings who returned him to earth after what seemed to be an hour and a half experience aboard the craft, when in actuality a period of 5 days missing time had elapsed back on earth. Travis Walton and his co-workers who witnessed this event all under went polygraph lie detection and passed. Hollywood added a lot of terror and violence that was not a part of his actual account of the experience. Why purposely add so much additional fearful imagery that was not in the actual account? The true story is much more incredible! 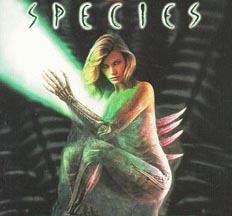 So Hollywood instead of doing an accurate documentary of this amazing case, their priorities apparently chose, like most all movies involving extraterrestrials, to instead turn it into an evil alien sci-fi horror movie that is very loosely based on a true story. This craft originated 37 light years from Earth in the Zeta 2 Reticuli star system. 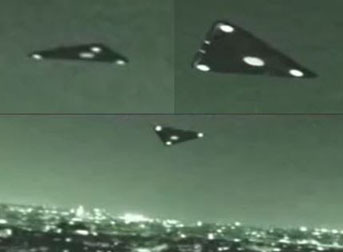 Briefly without going into too much detail, Lazar stated that the craft was using element 115 as a stable nuclear power source of energy, which is converted to electrical energy through a 100% efficient thermoelectric generator to power gravity wave amplifiers which are connected in a delta configuration, that can be directionally focused through wave guides at the bottom of the craft. This highly concentrated focus of gravity waves warps the time/space field around the craft and attaches itself to the warped field and snaps back at the distant point in the space/time matrix that would normally take many light years to travel. It is commonly known in physics that a strong gravitational field will alter the flow of time. 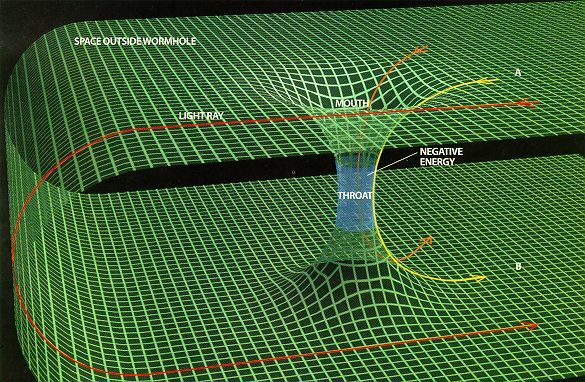 Example of a wormhole with the same concept that the structure of space/time fabric can be warped to go from point A to B without traveling the path of a light ray. 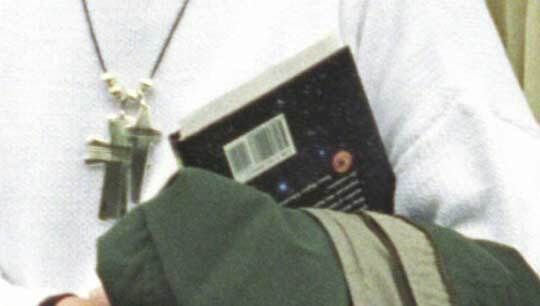 Bob Lazar stated that the Element 115 used as the fuel and gravity source in the “Sport Model” Flying Disc was a stable yet unknown element at the time. 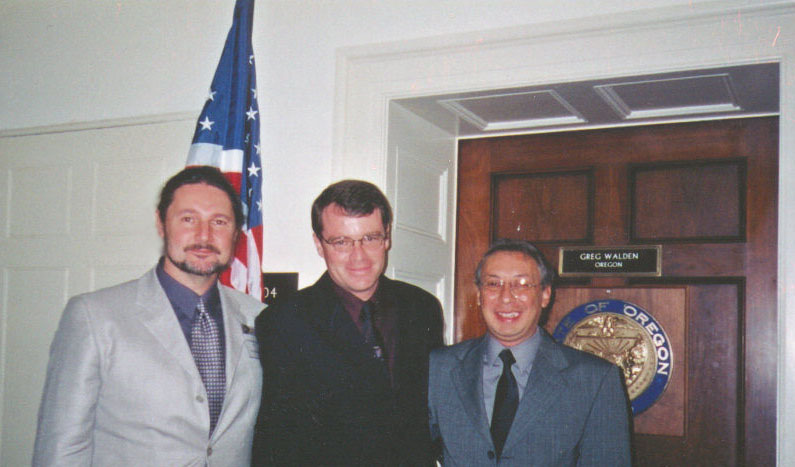 More than a decade later after Lazar gave his testimony, on February 2, 2004 scientists at the Lawrence Livermore National Laboratory, in collaboration with researchers from the Joint Institute for Nuclear Research in Russia (JINR), announced that they discovered Element 115, and it was stable as Lazar claimed. 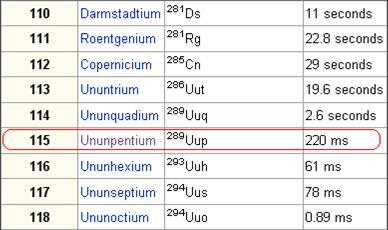 Element 115 was added to the periodic table as Unumpentium. Here is the personal candid video recording I made of this interview, which is the ONLY recording ever made of this interview. 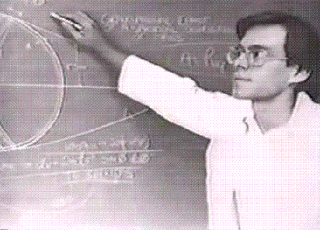 Note: This was the first-time ever public appearance and speech by Bob Lazar. This meeting was done inside the big military tent (apparently furnished by Groom Base....through the effort of the late Travis, owner of the Little A-le-Inn in Rachel, Nevada). It was a historic event which Norio Hayakawa sponsored. 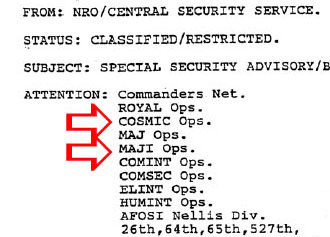 Interestingly enough Dr. Greer acquired the below classified memo regarding a prior similar meeting sponsored by the same group 2 years earlier in 1991 which brought attention to the Area 51 base and the NRO classified advisory about the meeting to the groom lake base with a distribution to MAJI OPS and COSMIC OPS. These operations deal exclusively with the extraterrestrial issue. I'm sure they were watching us closely in 1993 as well. 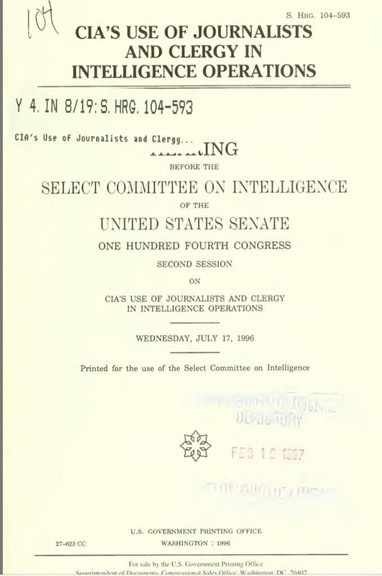 This NRO document would be presented by Dr. Greer to Vice Admiral Tom Wilson in 1997, when Wilson was J-2; head of the Intelligence division of the Joint Chiefs of Staff. Authenticating the existence of these Unacknowledged Operations, yet the admiral was denied access. Bob Lazar’s background has been difficult to verify. His hospital birth records, college manuscripts and employment evidence had all been erased and there is no evidence of him working at the Los Alamos National Laboratories. However, his name appeared in a telephone directory of Los Alamos scientists and a picture of him appeared in the July 1982 edition of the Los Alamos Monitor, showing a picture of Bob standing by a jet car and referring to his employment as a scientist with Los Alamos. 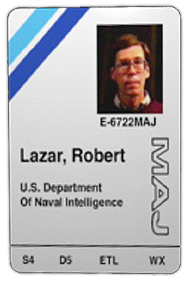 MJ-12 member Dr. Edward Tiller was the person responsible for Lazar's employment at the S-4 facility. The Zeta Reticuli Greys were given a portion of the base to conduct their own research, in exchange for our government to receive hardware, fuel, materials and training. In the mid 1970s, a conflict occurred between the hosts and the greys which resulted in the death of over forty personnel and the killing of the scientist the aliens were teaching. They abandoned the site, leaving behind nine spacecraft and a promise to return. 1994 NOV - Leaked Area 51 anti-gravity craft captured on surveillance camera - This authentic video has been leaked from the Area 51 secret military base in Nevada by a high ranking military source who worked within the complex. 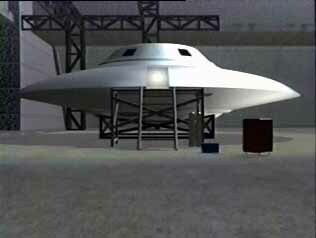 The UFO or anti-gravity craft was recorded November 1994 on military surveillance cameras somewhere within the Nellis Test Range, which includes Area 51 at Groom Lake. The video shows the mysterious object change shape and move around erratically. At one point, the object is seen to cover 13 miles in just 6 seconds, the craft accelerated rapidly from speeds as low as 30 mph to over 500 mph, and made right angle turns at roughly 140 mph making extensive changes in velocity and performing manoeuvres that no aircraft, that we know of on this planet, are capable of doing even with today's technology. In order to make such extreme G-force manoeuvres the craft would need to have its own gravitational field within the craft. The object bears a resemblance to the Alien Reproduction Vehicle (ARV). 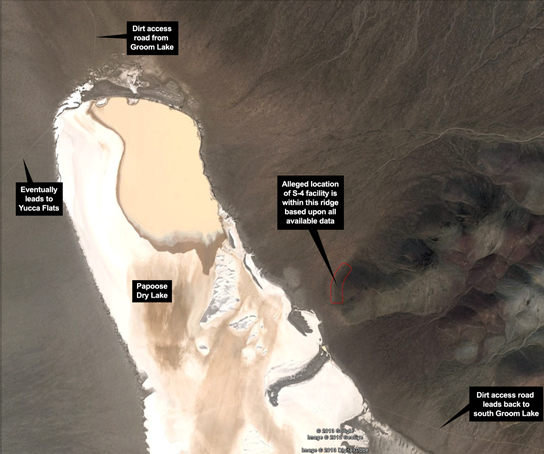 The Area S4 Facility located on the Papoose Dry Lake with camouflaged underground hangers just south of Area 51 where Bob Lazar claimed to have worked on reverse engineering of the ETVs. 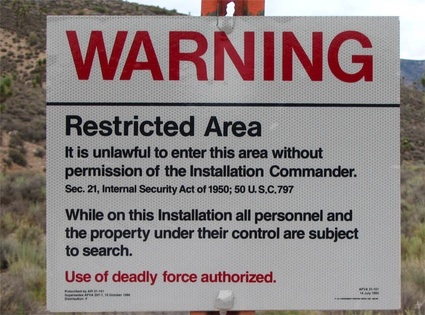 A warning sign outside of Area 51 states the use of deadly force is authorized by the Wackenhut security forces employed by the CIA. Here is a link to a Google Map of the Area S4 facility. I find it a curious coincidence that one of the main roads going into the Area S4 facility is named "Mercury Hwy" after the town "Base Camp Mercury" created in 1950 named after the many mercury mines in the area. The element mercury is significant as indications show it was originally used in the antigravity propulsion systems. 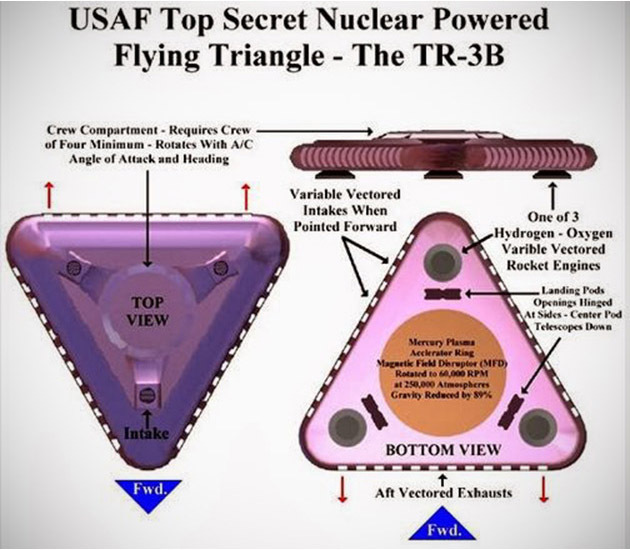 USAF Space Command uses antigravity craft developed with extraterrestrial assistance, such as the TR-3B flying triangle out of Area 51 in Nevada, for near-Earth space operations. "They [ISS astronauts] absolutely do observe activity going on around them. For the most part, they're seeing the military, the MIC SSP (Military Industrial Complex Secret Space Program), the program that is controlled by the NSA, the DIA, Air Force, that kind of thing. They have a couple of space stations up there that every time they orbit the Earth, they get a look at. 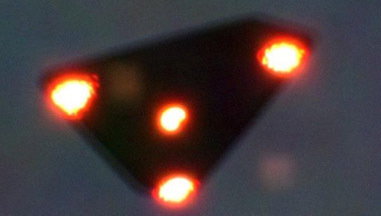 So they're seeing these space stations that are about 400 miles to 500 miles out, and then they see the unacknowledged craft [TR-3B flying triangles] that are servicing these space stations." 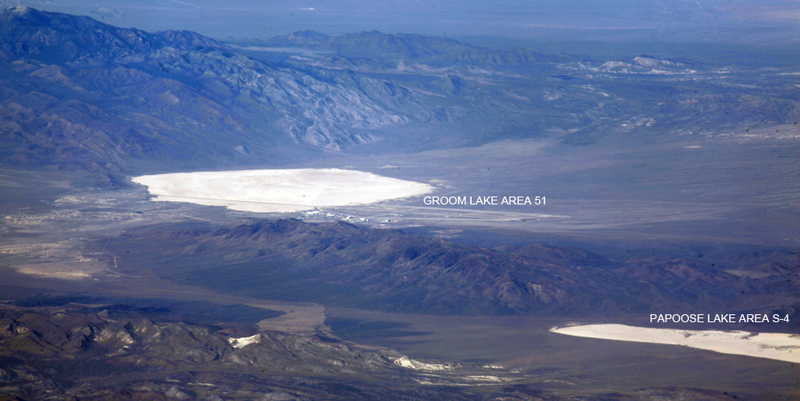 According to a witness account by Edgar Fouche, an aerospace engineer who worked at Area 51 and was able to substantiate with documents his testimony. He said he was aware of the TR-3B's existence that it was originally built in the late 1980s and stationed at the S-4 facility. Fouche said that it was as much as 600 feet in width. 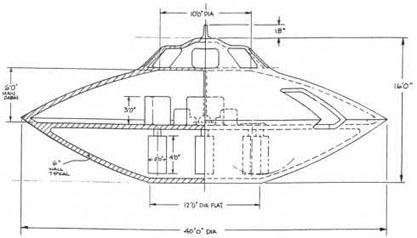 This very likely could explain the TR-3B's similar appearance to the triangular craft witnessed by thousands during the Belgian UFO wave sightings between November 1989 and April 1990 in Belgium. Over 13,600 people spotted this craft being chased by two Belgian Air Force F-16s. 2,600 of the witnesses filed written reports that were very similar. A Deputy Assistant to the President by the name of Kevin visited Dr. Steven Greer at his home in Virginia. While they were discussing the possibility of the president to move forward on disclosure, the response was "Look, we are afraid that if Bill Clinton does what you're recommending, he will end up like Kennedy." Initially Dr. Greer started to laugh at his response, thinking he was making a big joke, but it wasn't a joke, he stated he was serious. Executive Order 12958 directed that all government records of historical value and those 25 years or older be immediately reviewed and declassified, unless it meet one of nine narrowly-defined exemptions. Clinton’s Executive Order required that all these records be reviewed, or exempted from declassification by April 2000. 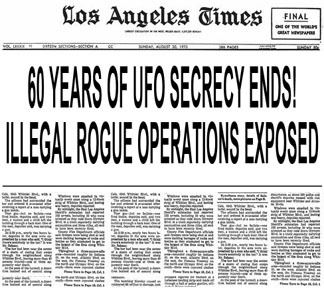 It was hoped that this declassification would open up the UFO documents. "The draft executive order revising the national policy on classification of documents is a major step forward and those who are responsible for bringing it about are certainly to be congratulated . . . In large measure, my concern with government information involving extraterrestrial intelligence was stimulated by the widespread public belief that the government was withholding information about UFO incidents. If the proposed new policy goes into effect, reasonable people should be assured that the government is making available information it has on an orderly basis." 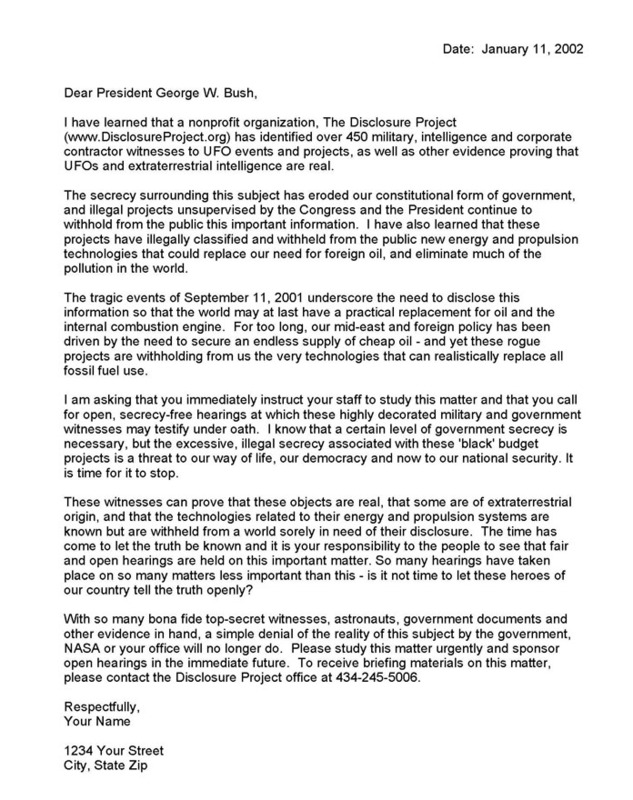 A letter from The Project Starlight Coalition (the predecessor of Dr. Greer's Disclosure Project) signed by Dr. Steven Greer and others, urging President Clinton to declassify documents about extraterrestrials and UFOs. This letter from The Project Starlight Coalition was the result of the historic Asilomar, California meeting that Dr. Greer organized and Laurance Rockefeller paid for in June of 1995, just before Clinton's meeting with Rockefeller in August 1995. The letter of response from the White House to Dr. Greer is also included among the documents. The documents are all stamped CLINTON LIBRARY PHOTOCOPY. Briefing the Clinton's at the Rockefeller Ranch outside Jackson Hole, Wyoming. 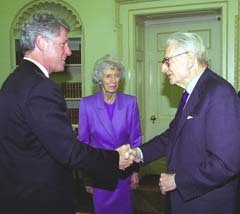 The briefer was Laurance Rockefeller. After several channels of efforts failed by the Clinton adminstration to gain information on the UFO reailty, is perhaps what that led Bill Clinton to bypass the official search for UFO answers, and actually approve a personal UFO briefing from a member of the public for himself and his wife Hillary. That historic briefing took place during the President’s vacation at the inclusion of Hillary in the Rockefeller briefing was the first indicator that the President’s wife actively involved, was prepared to play a strong role in the search for UFO answers inside the Clinton White House. 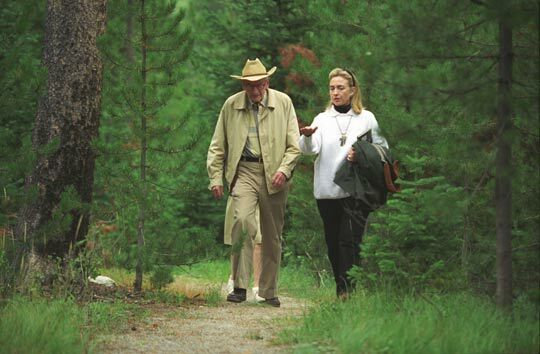 Hillary Clinton with Laurance Rockefeller at the Rockefeller Ranch in Wyoming holding a book written by Paul Davies "Are We Alone? Philosophical Implications of the Discovery of Extraterrestrial Life". 1995 Media - Disney Corporation produced an astounding UFO documentary “Alien Encounters” that was cautiously aired in only five cities across the country. 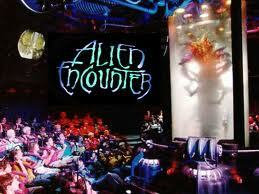 Back in the Fifties, Disney had been approached by the Pentagon to produce films debunking UFOs. 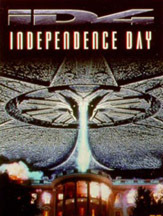 Forty years later it seemed the government was using the Disney Corporation for a reverse intent, selling the fear reality now of alien life in the form of “exTERRORestrial” encounters. Walt Disney was a (33° Freemason). 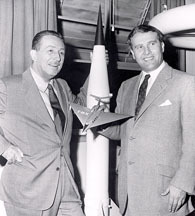 Disney and von Braun made a series together called Man in Space in 1954. 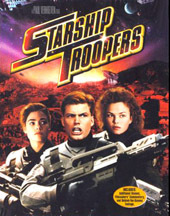 This series made the former Sturmbannführer a family friendly figure, selling the idea of space travel to the public. 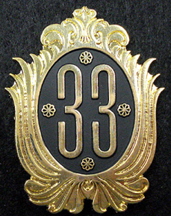 Walt Disney being a Scottish Rite 33° Freemason opened a private club in Disneyland just before he died called "Club 33". As of 2010, there was a 14 year wait list for membership in which members pay an initiation fee of $27,500 (if they are a corporation) or $10,450 (for individuals) along with annual fees. That should keep those who are simply curious about what goes on in Club 33 away with that exorbitant membership fee, that's if you can even get in. The movie Apollo 13 is released where three astronauts must devise a strategy to return to Earth safely after their spacecraft undergoes massive internal damage. Director Ron Howard is also a Freemason. 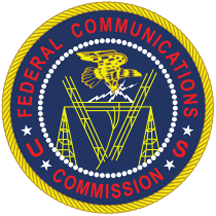 1996 FEB 8 - Telecommunications Act of 1996 is signed into law allowing the telecommunication companies regardless of health effects to radiate the population. The Act was approved by the 104th Congress on January 3, 1996, and was signed into law on February 8, 1996, by President Bill Clinton. 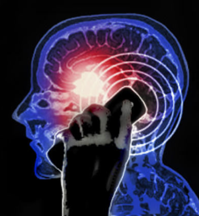 Decades later, due to this law being in place, it means regardless of the health effects, the telecommunications companies can place their transmitters anywhere they choose and there is no recourse. The UNOD letter is based on a military/government strategy that the format of this letter follows. This type of letter states that, "Unless Otherwise Directed" one may legally proceed with the actions presented in the letter with the implied consent of those receiving the letter - in this case the declaration that the secrecy oaths of those involved with unacknowledged, constitutionally illegal UFO projects were themselves null and void and that government and military top secret witnesses and documents could be disclosed without penalty of breaking security oaths. Since the underlying projects themselves were managed illegally. The letter stated that if these actions were taken as outlined in the letter without a response directing otherwise, then witnesses to those projects were free to speak publicly about them without legal repercussions or violations of the secrecy laws. 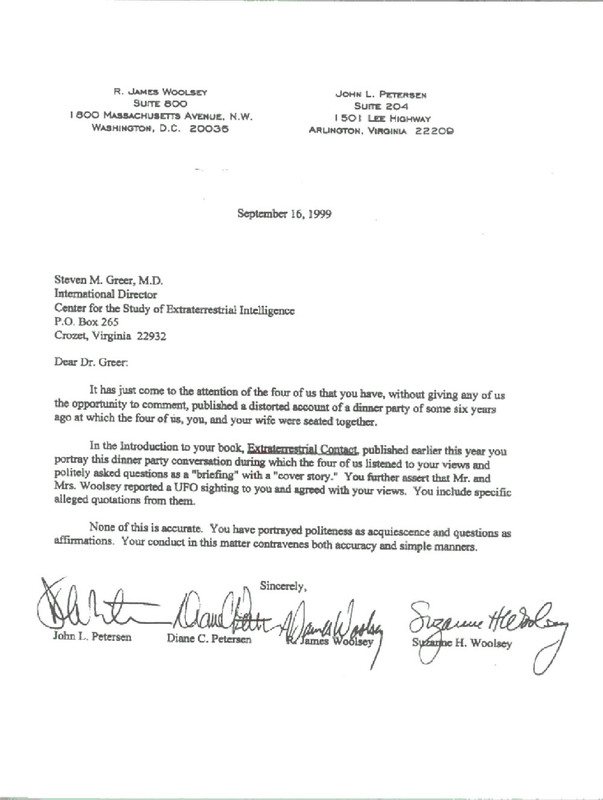 1997 JAN 1 - Dr. Greer sends the follow-up letter to the UNOD letter. Significantly, as of the 1 January 1997 deadline to respond, no government entity, official agency, department or office has contradicted this assessment or stated that such government witnesses are any longer bound to silence. Dr. Steven Greer, and former Apollo Astronaut, Dr. Edgar Mitchell, have described an interview they had with Vice Admiral Tom Wilson in 1997, when Wilson was J-2; head of the Intelligence division of the Joint Chiefs of Staff. 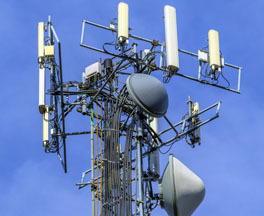 When advised of various SAPs involving possible extraterrestrial technology, Wilson was denied access to these, by attorneys representing corporate contractors, since he did not have a “need to know”. 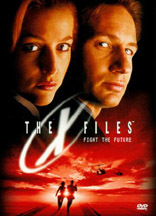 1997 JUN 15 - (CNN) -- A CNN/Time poll shows that 80 percent of Americans think the government is hiding knowledge of the existence of extraterrestrial life forms. 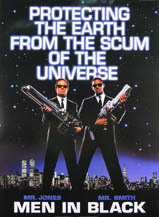 1995-99 Media - The busy movie industry puts out a number of extraterrestrial related movies. 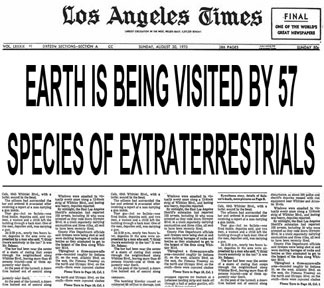 The theme rarely varies from giving the public the perception that extraterrestrials have only one deceptive agenda, which is to destroy humans on earth and take over the planet. With the movie "Independence Day" being the most notable. Bug juice flying everywhere, well these nasty bugs start blowing up Argentina with their bug bombs and we start our military recruiting campaign. Yes it's a military gung ho bug battle. Where's that recruiter? I wanna blast an alien bug for my country! Secrets and conspiracies and underground alien bases, so what else is new? 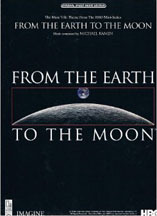 A dramatized portrayal of the Apollo manned space program. Just so that everybody gets the story straight of what really happened up there on the moon. 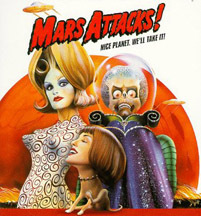 Although this movie is not about extraterrestrials, the theme of this movie has struck core elements at play within today's society. Whereas taking the blue pill shifts you into a reality matrix that controls your perception, whereas everything seems "normal", except for occasional "glitches in the matrix" due to that reality being a false illusion hiding the true reality behind the matrix. This real reality is revealed when taking the red pill. This analogy is so close to today's world, whereas a matrix of perception has been created by its controllers in order to hide the reality which they do not want to expose to the masses as it will compromise their hidden agenda.
" It is clear that the Pentagon has had, and probably still has, the greatest interest in concealing, as best it can, all of this research, which may, over time, cause the United States to hold a position of great supremacy over terrestrial adversaries, while giving it a considerable response capacity against a possible threat coming from space. Within this context, it is impossible for them to divulge the sources of this research and the goals pursued, because that could immediately point any possible rivals down the most beneficial avenues. Cover-ups and disinformation (both active as well as passive) still remain, under this hypothesis, an absolute necessity. Thus it would appear natural in the minds of U.S. military leaders, secrecy must be maintained as long as possible." 2000 SEP - The Project for the New American Century (PNAC) an American think tank based in Washington, D.C. published a controversial 90-page report entitled "Rebuilding America's Defenses: Strategies, Forces, and Resources For a New Century." in which it stated "Further, the process of transformation, even if it brings revolutionary change, is likely to be a long one, absent some catastrophic and catalyzing event––like a new Pearl Harbor". By the year 2000 Dr. Greer had collected over 450 military, intelligence and corporate witnesses that have gone on record with the Witness Archival Project including myself, since he had the meeting with the CIA director in 1993. These hundreds of witnesses which include Admirals, Astronauts, Generals as well as top secret military in all branches of service and the intelligence community, are willing to testify under oath before a congressional hearing. 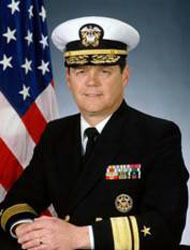 SSPW Tompkins: Early in 2001 Tompkins called on Admiral Hugh Webster, Navy League Corporate Director, Washington DC and San Diego CA. We had a five hour meeting on my ongoing book–writing concerning the extraterrestrial threats to our planet. 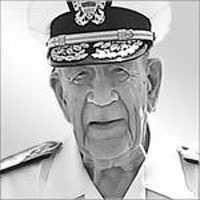 After Admiral Webster read portions of my document and backup technical documentation, I asked Hugh, “How much of this can I include in a published book?” He said. Sarah McClendon the famed white house correspondent gives her sponsorship to Dr. Greer for the National Press Club meeting. Sarah once quoted George H.W. Bush to say to her curiously: "Sarah, if the American people ever find out what we have done, they will chase us down the streets and lynch us." The night before getting on a flight to Washington to testify, I was tossing and turning thinking about the implications of what was to be disclosed to the world the next day. I was very familiar with many of the other witness testimonies and couldn’t imagine how the world would not be the same after such a disclosure. That night I had a very vivid lucid dream that I was at the National Press Club and each witness gave his testimony and at the end of the testimonies a MJ-12 operative came up to the podium (remember this is only in a dream) and he begins to discredit each of the witness testimonies, saying this is a classified program here and so on and that we have all broken our national security oaths, and that there is nothing to this. All of the witnesses had their mouths drop, because they knew the disinformation was a lie, and he effectively discredited all the testimonies. In the dream I decided to walk up to him and in a friendly way and say to him that “I really must congratulate you for the tremendous efforts you have put forth all these years in order to keep this truth hidden”. At that gesture something different occurred in the dream, whereas all of a sudden there was this awareness between everyone in the room that we are all interconnected as one on a spiritual fundamental level, and that what we do to others ultimately we do to ourselves. But this was just a dream and I had to be in Washington DC the next morning for the real thing. As it turns out they didn’t need an MJ-12 operative to discredit the event as you will soon learn. 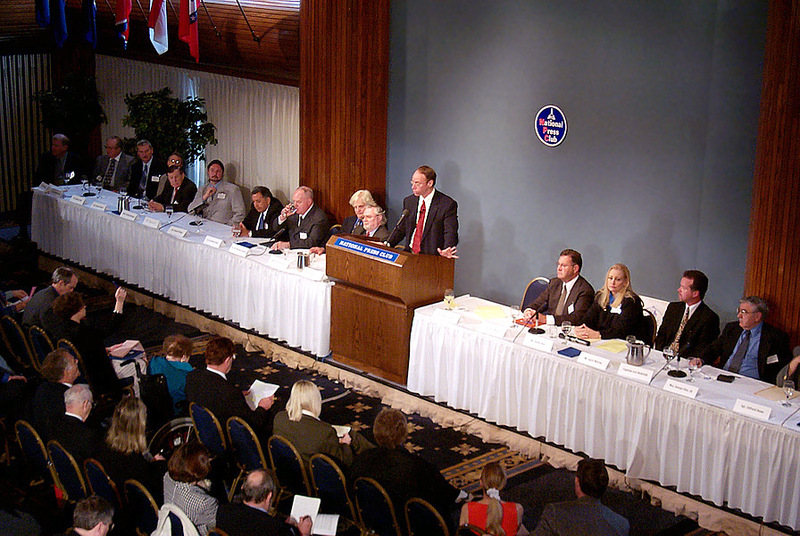 2001 MAY 9 - A World Disclosure Event happens at the National Press Club in Washington D.C. Out of the 450 witnesses 21 were willing to state that they would testify under oath before congress in front of the 22 cameras of the major networks of the world. The fact that each witness stated at the end of their testimony that they were willing to testify under oath before congress means that there are severe penalties for perjury for lying under oath, but each witness including myself were willing to take that oath and make that statement to the media of the world. 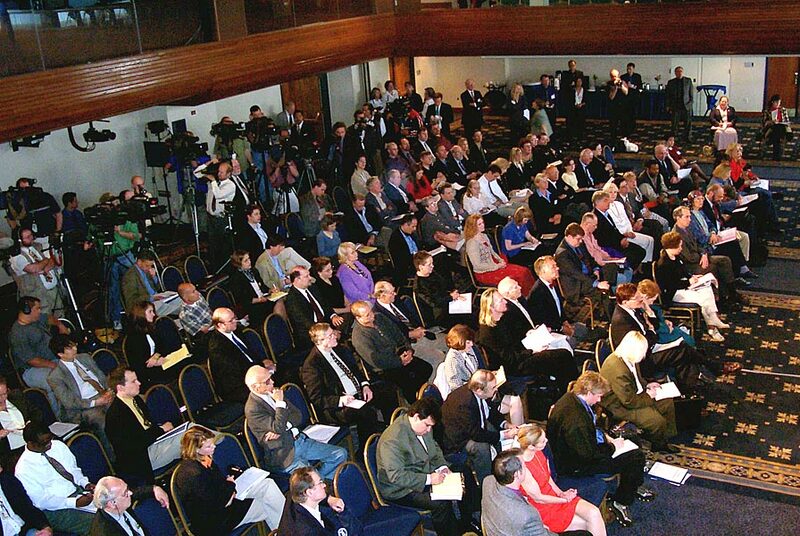 This two-hour event was the most watched live press event in the history of the National Press Club. The event was briefly reported on CNN, BBC, CBS, Fox and many other outlets. The first hour was electronically jammed from outside the press club. Someone didn’t want the public to hear what was being disclosed. You can watch the full event online and that first hour which they attempted to block at DisclosureProject.org. 57 different ET species have been cataloged according to retrieval team member Sgt Clifford Stone. The ET civilizations have not shown hostility, have only shut down our nuclear weapons. 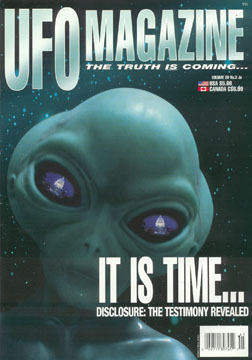 Some of the alternative news outlets such as UFO magazine covered the event. Disclosure Witness Larry Warren on the phone to the UK shared with me that on this day after hearing the event, they were picketing outside of Parliament in the UK with signs reading "Expose the Secret Government" and "Release the Extraterrestrial Technologies"
Media - ABC News 4 Kids - ABC children's television network wanted children to learn about Alien Secrets and the 20 witnesses that testified at the National Press Club. Since the early 1950's the CIA's Operation Mockingbird headed by Allen Dulles, had developed relationships with major media outlets in order to implement propaganda and influence the public perception through the mainstream media. "There is quite an incredible spread of relationships. You don't need to manipulate Time magazine, for example, because there are [Central Intelligence] Agency people at the management level." "Deception is a state of mind and the mind of the State"
--Former President Harry Truman who created the CIA - 22 December 1963, one month after the JFK assassination. "The Agency's relationship with [The New York] Times was by far its most valuable among newspapers, according to CIA officials. [It was] general Times policy ... to provide assistance to the CIA whenever possible." Dr. Steven Greer's article on "Media Play"
In September of 2014 Dr. Udo Ulfkotte a senior journalist for 25 years exposed on Russia Today that he was educated to lie and betray in reporting, supported by bribes and pay-offs by the CIA to manipulate the perception in the news reports. He worked as a "non-offical cover" which means he did work as many reporters do for the CIA, but if exposed, the CIA will disavow any association with the reporters. 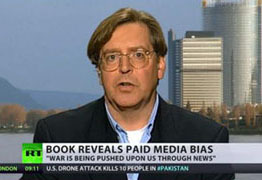 He stated that "The CIA determines what is printed and what is not" and that there were repercussions to those reporters who did not cooperate with them. 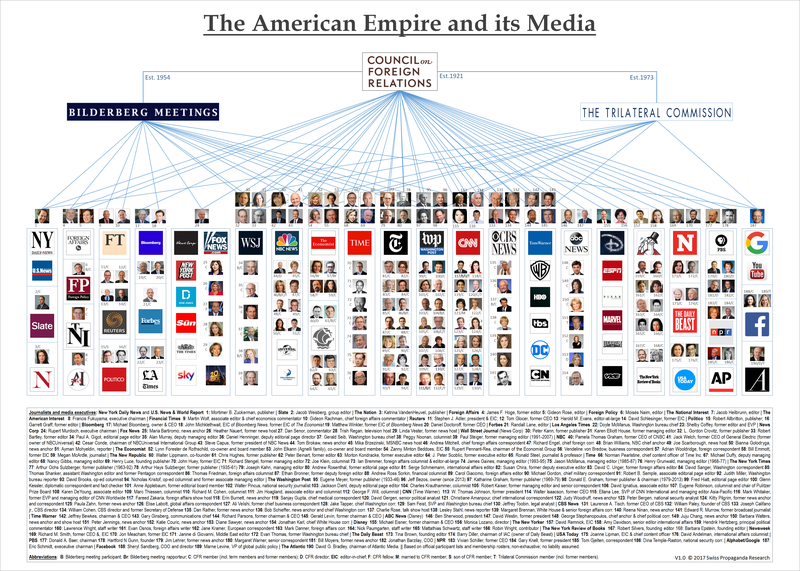 1991 CIA Memorandum regarding media control stating the CIA has relationships with every major media outlet to change, hold or scrap stories in the interest of "National Security"
The largest media companies are interconnected by common owners and board members, according to a 2005 study by a Project Censored research team. 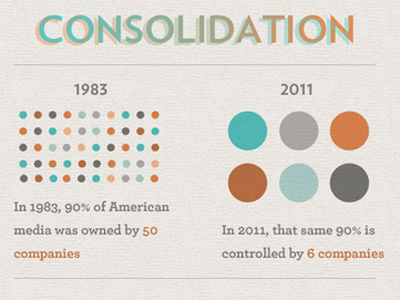 Complete corporate media control is much easier today than in 1983 in which 50 corporations controlled all the majority of U.S. media, back in 2004 there were only 5 total corporations controlling the mainstream media. The major corporations that control the mass media are for the most part filled with honest and honorable people such as reporters and journalists. They, like most of their corporate superiors, are men and women with credible backgrounds. They are capable managers, but they have little inkling of who truly controls their corporate structure and the distribution of information i.e., the fascist globalists’ banks and foundations that seek to control every major aspect of modern life and the world view perception of people in which their "world view warfare" agenda to their employees can remain hidden. 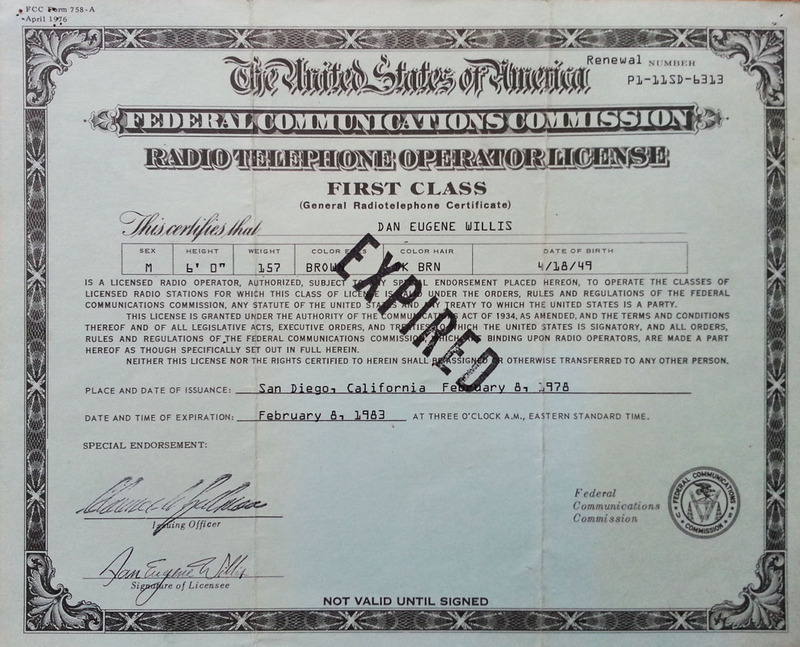 In the late 1970s I was an ABC newsman as well as the chief broadcast engineer for the most powerful FM station on the west coast, KITT in San Diego. For the news reports we had two teletype machines, UPI (United Press International) and AP (American Press). Whatever text came across the teletype is what I would read for the news report. News reporters have no idea that CIA intelligence operatives postpone, change, hold, or even scrap stories before they are distributed to the major broadcast networks, in such a way to be in the interest of that which is stated to be for "National Security". 2018 FEB 14 - The CIA can give Classified Information to its favored reporters but argues that the public through FOIA requests are not allowed access. Intelligence officials can selectively release classified information to "trusted journalists" while withholding the same information from other citizens who request it through open records laws, CIA lawyers argued on Feb 14, 2018. When I went to Washington I honestly and naively thought that I was part of a world changing event. Let’s examine how the media sanitized out the explosive testimonies and message of this world disclosure event to the people of the world. Pretend for a moment that you were one of the many news reporters at the National Press Club and you had to get this report of the details this event to the editing room. Now there is a lot of information being disclosed regarding illegal rogue operations that are denying access to presidents and CIA directors, that we already have technology to end the energy and environmental crisis within these black projects. Witnesses stating they are willing to testify under oath (that means under the penalty of perjury) have cataloged over 57 species of extraterrestrials, a lunar base on the dark side of the moon, nuclear weapons have been shut down, and that in black projects have developed superluminal spacecraft etc. Now how to clean up and sanitize this story so that no alerting information is disclosed regarding the illegal rogue operations but rather divert the attention to appear that this group is only wanting to have a congressional hearing solely on "that we are not alone and that UFOs are real". 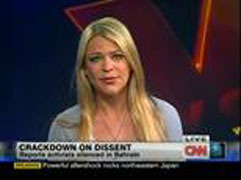 This spin would not be damaging to their hidden agenda, especially if it ONLY puts the possible reality in the public’s minds that “we are not alone”, so that if a future planned false flag event utilizing the advanced weaponized flying discs hidden within this breakaway civilization were to stage an attack, they would easily be misidentified in our primitive space technology state that utilizes rockets, as being an extraterrestrial threat, as Wernher von Braun on his deathbed stated they had planned. If you were part of a CIA media information processing thinktank, this is how we would sanitize this potentially explosive news report. Let’s dissect the less than 2 minute CNN news report (CNN audio in Bold) Since CNN is the flagship news service provider. Keep in mind the psychological think tanks that have invested billions of dollars into knowing the psychology of the public’s mind and knowing exactly how to say something and what words to choose, voice inflections and body language all of which imply an interpretation of what is being reported. It is an extensively studied fine art of creating a perception in the viewer’s mind in which fits the agenda of those who control the distribution of information through the mainstream media. In the introduction focus the objective of this report to be about a group in Washington whose purpose is merely to prove the reality of UFOs and life on other planets. This directs the focus away from illegal operations here on earth. 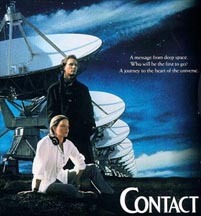 The opening line should divert attention to exploring the question of life on other planets. Something that won't alert the listener that this is anything directly impacting them. Review the entire speech by Dr. Greer and carefully pick out a statement in his audio that makes it sound like the entire issue is about the reality of UFOs and nothing else. Make the assumption that the case we are supporting through documents is strictly about the reality of UFOs without revealing that some of the documents were indicating much more. Address the purpose of this event is to have a congressional hearing. 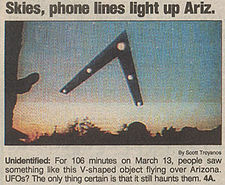 Since UFO reality is such a trivial matter they can only "hope" President Bush will even take notice. Let it be known that this issue is questionable as there is criticism from skeptics. Counter views create questionability. Use audio that makes it sound like what John Callhan a head FAA person is only talking about the “belief” of UFO reality and nothing about the CIA swearing him to secrecy and all of the substantial evidence and proof he brought to the National Press Club that the CIA weren’t able to confiscate. Let people think that some official response has addressed the congressional hearing request, and say that "no hearings are planned" at the moment which eludes to they may in the future, instead of saying there will be no congressional hearing on this subject. This closes the door for acknowledgement by the government. For reference here is Dr. Greer's opening speech transcribed before the witnesses give their testimony. Try to find only a short section that has to do with only the reality of UFOs and nothing else. As you can see you may have to hunt for non alerting information to the public. Note where the editing room cuts out the rest of Dr. Greers statement which he completes by saying… "that they use anti-gravity propulsion systems, which we have already figured out how they work in classified projects...". ...that they use anti-gravity propulsion systems, which we have already figured out how they work in classified projects in the United States, Great Britain and elsewhere. That these objects have landed on terra firma at times have been disabled and have been retrieved specifically by teams within the United States, that extraterrestrial life forms have been retrieved, and their vehicles have been taken and studied thoroughly for at least 50 years. We can prove through the testimony and the documents we will be presenting that this subject has been hidden from members of congress and at least two presidential administrations that we are aware of. And that the constitution of the United States has been subverted by the growing powers of these classified projects and that this is a danger to the national security. There is no evidence, I wish to emphasize, that these life forms from elsewhere are hostile towards us, but there is a great deal of evidence that they are concerned with our hostility. There are times when they have neutralized or rendered inert the launch capabilities of intercontinental ballistic missiles. Witnesses here today will describe those events to you. They have shown clearly that they do not want us to weaponize space, and yet we are proceeding down that dangerous path. And it will be established that these projects because they have not been supervised properly by the congress, by the US president, by the international community, have become a threat to the national security, and for this reason we feel that we must disclose the facts. This is the beginning of the campaign for disclosure. And in a memo that I wrote to President Bush last week, I stated that this campaign will persist until our goals are met, and they are as follows. That we have open honest hearings on this subject in the US congress, that there be a permanent ban on the weaponization of space or the targeting of any objects of extraterrestrial origin, that there be a full and complete study of classified technologies connected to this subject, to see how they could be properly declassified and applied for peaceful energy generation so that the world may get off of fossil fuels in enough time to prevent greater ecosystem damage, or war over the looming energy crisis which is sure to sweep the earth in the coming decade. Note: In this speech Dr. Greer gives a warning that we need to disclose and release these technologies to “prevent greater ecosystem damage or war over the looming energy crisis”. Only 4 months pass after this speech and the 9-11 “terrorist” event occurred echoing the witness death bed testimony of Wernher von Braun future planned false flag event which leads to 13 years of war in the oil rich middle east, and we are all painfully aware of the horrendous ecosystem continuing damage to the planet from both the Gulf oil spill and the radiation from the ongoing Fukushima reactors meltdown. 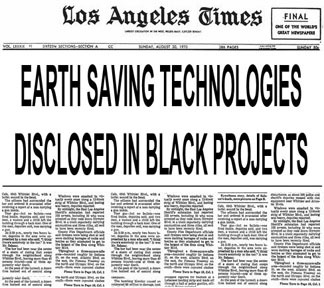 The release of the hidden technologies would make the dangerous use of oil, nuclear and coal totally obsolete. This is a matter of the most pressing importance, it has been ridiculed yes, I know there are many in the media who would like to talk about little green men, but in reality this subject is laughed at because it is so serious, I've had grown men weep, who are in the Pentagon, who are members of congress, and who has said to me what are we going to do? Heres what we will do... We will see that this matter is properly disclosed, and these courageous witnesses, the first twenty one of over one hundred that we have already interviewed on video tape, have stepped forward to speak the truth. Now I expect people to be sceptical, but not irrationally so, because these men and women have come forward and they have their credentials, they can establish who they are, and they have been first hand witnesses to some of the most important events in the history of the human race. As it was pointed out to some of the men here, they charged with handling the nuclear weapons of the United States, their word was trusted on everything of great importance to the National Security, we must trust their word now. As Monsignor Balducci said at the Vatican, at an interview I had with him recently, it is irrational not to accept the testimonies of these witnesses. So please be skeptical, but that is not the same as prejudice and closed minded. This is a matter of great importance and I ask the media, the scientific community, and the political community to look seriously at this matter, and to do the right thing for humanity and for our children. We have available for the media, and for members of congress, a nearly 500 page briefing document with transcripts from dozens of these top secret witnesses, we have a 4 hour video tape summary, it's not a commercial product I warn you, from this project of the 120 hours that we have in interviews so far, that have been boiled down to 4 hours, and it's available for the congress to review and for the major media to review. We can establish that this subject is real and has tremendous significance to the human future. I ask on all of you that are listening to contact the members of congress that represent you and the leaders around the world of other countries and ask them to hold an honest inquiry into this subject, to support a ban on weaponizing space, as we are sharing space with other life forms, and that we move quickly as a people to an understanding that this is the end of the childhood of the human race, it is time for us to become mature adults in the cosmic civilization out there. To do this, we must become a peaceful civilization, and we must look as we go into space, with an intent of cooperating with other civilizations, not weaponizing that high frontier. 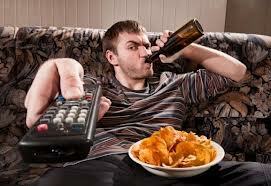 Now the average television viewer sitting back on the couch eating potato chips having a beer after a hard days work watching the news will most likely think something like; wow that's interesting, I knew there had to be something to all that with all those UFO reports, but with all the current critical problems in the world I doubt Washington is going to give it much priority. Dr. Greer sure put a lot of effort to collect all those UFO testimonies, who knows if it’s really real or not, the government still hasn't officially acknowledged them. 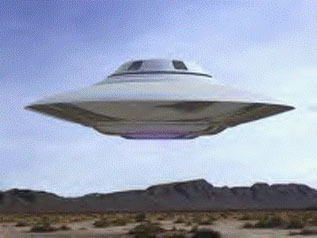 Seems like another waste of tax payers’ money to have a congressional hearing on simply the reality of UFOs. It's an interesting subject but it doesn't directly affect my life, I've got bills to pay, like electricity for my home and gasoline for my car, now something that affects me that would get my attention. 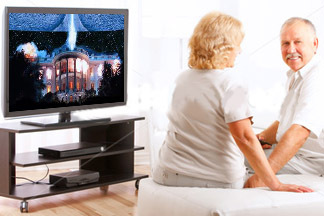 Little does the average television viewer know to what extent the implications of UFO/ET disclosure would have and the subsequent hidden technologies released, what an impact just about every aspect of a person’s life it would have. This is what the Intelligence Agencies term a "Limited Hangout". A “limited hangout,” is a term which according to Victor Marchetti, a former Special Assistant to the CIA Deputy Director, is “spy jargon for a favorite and frequently used gimmick of the clandestine professionals.” Marchetti went on to describe how a limited hangout works: When their veil of secrecy is shredded and they can no longer rely on a phony cover story to misinform the public, they resort to admitting — sometimes even volunteering — some of the truth while still managing to withhold the key and damaging facts in the case. The public, however, is usually so intrigued by the new information that it never thinks to pursue the matter further. The National Press Club is a perfect example of a "limited hangout" by the mainstream media. Whereas it covered the event only enough to expose the public to the idea that hundreds of military and intelligence witnesses believed UFOs exist and that they wanted to have a congressional hearing into the matter. That is the part that they "hanged out" to the public so to speak. The "limited" part excluded things such as presidents and CIA directors being denied access, energy solutions to get off of oil, nuclear and coal, bases on the moon, NASA airbrushing UFOs, 57 species cataloged etc. etc. any one of which would have grabbed the public's attention to pursue these disclosed facts much further. "we have a solution to the energy crisis, and are willing to bring forth the scientists to prove before a scientific inquiry board before congress that these technologies can give free non-polluting energy and have been suppressed for over 50 years". I wanted to make clear that this is the entire purpose of this interview, because it is critical for the future of Earth to have these technologies released before further ecological damage is done to our planet. The reporter promised me that the part about the solution to the energy crisis would be included in the broadcast. "Oh gosh I don't know how to say this I had some problems with the piece and basically the higher executives made me cut that part out. But it's still a decent piece it still gets the Disclosure Project out there, and the fact that people are asking for hearings"
Note that CBS following its flagship mainstream media news leader CNN, used the exact same format of "We are not alone" and the exact same excerpt from Dr. Greer's speech of UFOs going thousands of miles per hour. The only thing that came out of that 45 minute interview was my saying "it’s come to a critical point where the truth needs to be revealed to the people" The problem is that CBS like CNN never got to the listener what that total “truth” was about. “We are not alone” that’s the message a group of pilots, scientists and former government officials want congress to hear. Hank Chapman shares with us tonight with what some people are calling a UFO cover up. A strand of moving lights over Phoenix, a bright glowing streak dashing through West Covina, what looks like a flying saucer tracked on radar over Mexico City. Are these UFOs caught on tape? Dan Willis is a former radio operator for the Navy (Dan Willis Audio) “I took personally communications from ships that were reporting the extraterrestrial craft merging out of the ocean and shooting off in space” He’s among a group of scientists, military and former FAA officials calling for congressional hearing to establish the presence of UFOs and extraterrestrials. 21 members of that group has already testified in Washington for what’s known as the Disclosure Project, Dr. Steven Greer is the director of the Disclosure Project, he’s gathered 400 witnesses who say it is time for government secrecy to end. (Dr. Greer Audio) “We can establish through this testimony, that these objects of extraterrestrial origin, have been tracked on radar going thousands of miles per hour” (Dan Willis Audio) “It’s come to a critical point where the truth needs to be revealed to the people” They believe a congressional hearing is the only way to set the record straight. 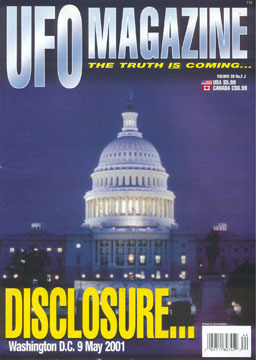 The Disclosure Project has its work cut out for them as of right now no congressional hearings are planned. 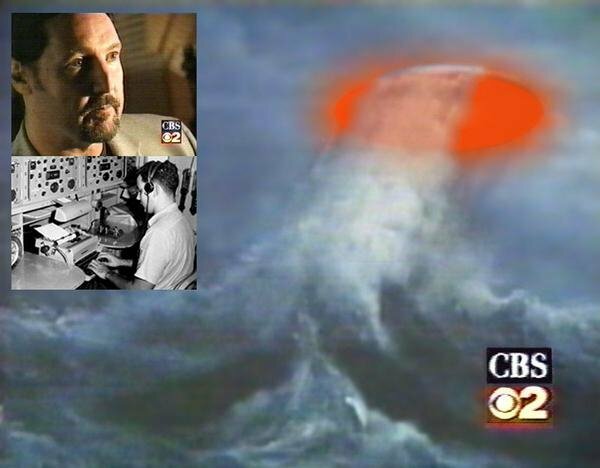 For CBS News Special Assignment I’m Kent Shocknek. 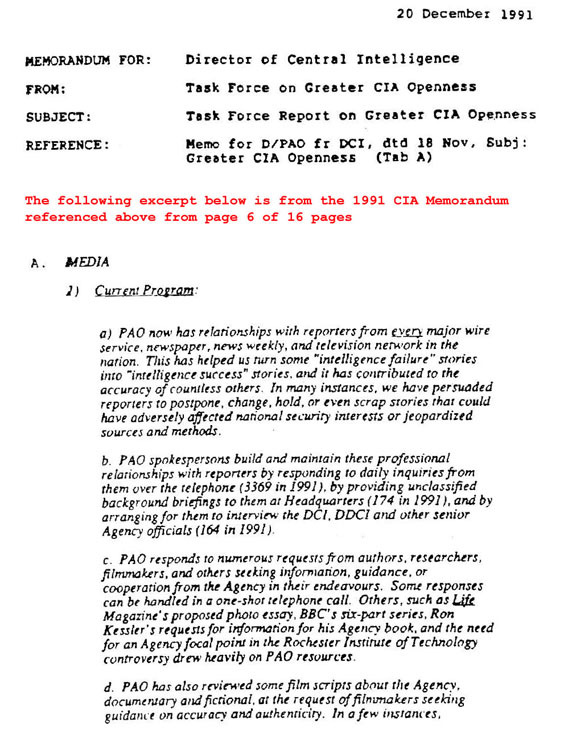 "We are not alone" format - CIA sanitizing and redirecting the focus to simultaneously hide and serve an agenda? Note in the coming years whenever the subject of the UFO/ET matter is brought to the mainstream media it will usually be with one message to the public, and that is "we are not alone". This can serve the purpose of redirecting the focus of any witness testimonies that attempt to reveal the illegal infiltration of the rogue operations within our government, to them simply joining in on all these people saying we are not alone. This works for putting the possibility of extraterrestrial existence in the publics mind, just as all of the fear associated extraterrestrial sci-fi movies have suggested. 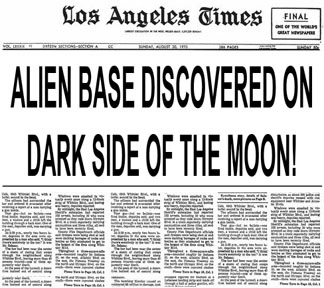 So if in the future they plan as Werner von Braun in his deathbed testimony stated, plan to hoax an extraterrestrial threat with their advanced anti-gravity craft, it would appear that it could serve that agenda for them. "A full disclosure event would consist of a major data dump on the Internet with many hundreds of thousands of document, audio and video files on multiple mirrored sites for everyone to have access to. There would be a collapse of the corporate media machine and a 24/7 television and radio education campaign would be initiated. Not all channels and stations would be co-opted so people are not overwhelmed and could “tune out” as they needed to due to the stress." Immediately after the National Press Club all of the witnesses broke into teams and began meeting with members of congress and the senate. We sat in on some of the hearings and the number one topic was on energy shortages and pollution problems. People are concerned about daily functioning with enough electricity to do their work and gasoline to get to work and about the air they breathe, especially in Los Angeles, California where they were having rolling blackouts at the time. We provided each representative with a 4 hour Executive Briefing Video as well as a 500 page Disclosure Project Briefing Document to become familiar with this issue. Dr. Greer put extensive work into creating the 4 hour Executive Briefing video. This video production was a distillation of over 120 hours of witness testimonies. The very first release of the Executive Briefing video for the president and congress was given to me to use in a personal private meeting with the former president of Lockheed International who I personally knew in his home, where we watched the full four hours in the hopes with his high level connections with the CIA that he could contribute to the disclosure effort. Later during the Disclosure campaign tour I introduced him to Dr. Greer, and he allowed us to use his mansion in San Diego for the executive meeting following the large public presentation in San Diego. In the meetings on Capitol Hill, all of the representatives were polite but we got the impression that this was way too much of a hot potato which nobody wanted to touch during their office term. The majority of representatives you could tell were of course completely out of the loop regarding this issue. Only one aware congressman said “you know there is a secret government in control of this”. 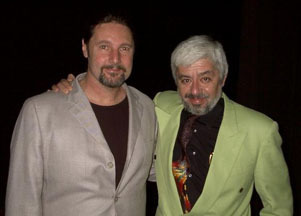 When I was in Washington DC, I had lunch with Jaime Maussan who is one of Mexico's most important journalists and researchers in UFOlogy, winning over 14 awards in the world. Jaime became known as an outstanding reporter and researcher for the television program "60 Minutos" ("60 Minutes") where he did research on environmental and social reporting. Jaime invited me after the National Press Club event to come to Mexico for a presentation he was doing for a large audience of thousands as well being telecasted on the major Mexican television network Telemundo. Jaime was presenting a video that was taken by swedish scientists that were monitoring a volcano in Mexico that was about to erupt. 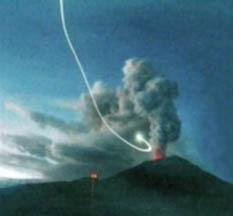 As the instruments were indicating that eruption was imminent, a UFO comes down from space and flies directly into the volcano and causes the eruption to subside according to the instruments, then flies back out into space. This was a good demonstration showing just how advanced their technologies are. In making it to this event, of course they had a lot of security and unfortunately I don't speak much Spanish, so I brought my friend David who is fluent in the language. I spoke on television with an interpreter about the implications of the release of the technologies within the black projects and how it could dramatically affect the air quality in Mexico City which is highly polluted from vehicle emissions. On the way back across the border approaching the checkpoint, we noticed our clocks including the one in my little Porsche indicated the time to be around 12 midnight. We figured we would be home well before 1 A.M. as the most it would take to get us both home back in San Diego would be 30 to 45 minutes max, especially since the freeways were totally clear and empty, in fact so clear I decided to fly down the freeway faster than usual. It was a warm summer night in 2001 and we had the convertible top off and were enjoying the drive. My friend David loves to sing and so we ended up both singing down the 805 freeway on our way home, as nobody could hear us. When we both got home we noticed the clocks were saying it is 4 A.M.! I immediately assumed there must have been a power outage and the clock stopped 12 hours earlier at 4 P.M., until I woke up the next morning and David confirmed that he also arrived home at 4 A.M. meaning that somewhere between leaving the border and home there was 3 hours completely unaccounted for. I double checked the functioning of my clock in the Porsche and it was the correct current time. You hear of these stories where people report seeing a UFO then have missing time experiences. We didn't see a UFO, but we definitely were missing 3 hours of time unaccounted for and have no idea how that happened. Since the mainstream media wasn't getting the message out to the public and the representatives weren't responding. It felt like the only way to get change in Washington was to start a grass roots movement, so Dr. Greer started the "Campaign for Disclosure" by traveling to all the major cities in the United States. I personally joined Dr. Greer throughout the western states where large halls were rented with large video displays where we were able to condense the 4 hour Executive Briefing down to a single hour video presentation which received standing ovations from every crowd. The cities I joined in were Bolder, Co, San Diego, Los Angeles, San Francisco, Ashland OR, Eugene OR, and Portland OR. Being an ex-ABC newsman and broadcast engineer I took interest in how the local level reporters were going to cover the event after they interviewed. Without exception in every city the television network affiliates spun and ridiculed the subject matter . San Francisco - We heard they were told to make fun of it, so when it aired they said "The Disclosure Project is looking to aliens to solve the worlds energy problems"
The purpose of the campaign was to bring awareness of this issue to the public and show that it will has profound implications and not just about the reality of UFOs. We wanted the voice of thousands of people who we were meeting with to write their representatives to ask for a congressional hearing. The problem we found was that people just can’t find the time to write a letter to Washington and Emails just get deleted. Since I was one of the technical administrators for the DisclosureProject.org web site, I stayed up all night with my programmer and good friend Robert Langhorn and we created the Disclosure Project Online Fax in which I put all of the fax numbers for the President, VP and all members of congress, I was also able to include all of the international embassies around the world to contact those country’s leaders. It was completely automated but could be personalized so that each fax letter could be unique for greater effectiveness. It was a success in the sense that more than 30,000 faxes were sent to individual representatives of the United States. Sample FAX template of one letter post 9-11 version below which could be edited or added comments. So Washington was getting barraged with Disclosure requests. I announced on the DisclosureProject.org website that we would like to share with everyone how our elected representatives responded to their fax letters and to send me their responses to post on the website for all to see. Approximately 53 people responded to my request to send me their representative’s response so that I could post it online. After reading the all individual responses I began to notice a definite pattern of response in which the majority essentially just said in a template type of format "we'll keep your views in mind". It appeared that all of them were indoctrinated to respond to this issue in a particular manner. In other words the representatives were out-of-the-loop in this matter and obviously never had the time to review the briefing materials provided, or if they did, they did not want to jeopardize their position by recognizing other very powerful elements within our government were involved in this issue. Some responses cited official denial of evidence based on USAF Project Bluebook and NASA. You can imagine if Presidents and CIA directors were being denied access, there would be no reason to brief congressmen and senators on this issue. Especially since there is no congressional oversight on these illegal rogue black projects to begin with.